There are many different styles of sewing available and each one is used to achieve a specific result. Some are more decorative and some more functional, some open flat others don't. This is the preferred method of sewing, the books are sewn in folded sections to make up a book block, allowing the pages to open flat. This method is ideal if you have 2 page spreads or full bleed pages. 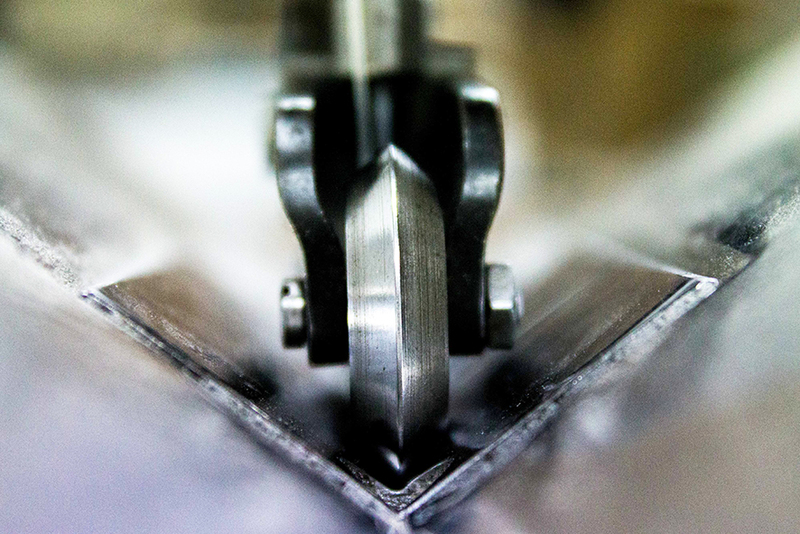 This technique is used to sew individual sheets together into a book block. This is an easier method for your file set-up as you don't have to deal with sections, however the finished book does not open flat. For single section books or leaflets & pamphlets this is ideal. A choice of coloured threads make this an eye-catching option. One of our hand sewing techniques, coptic stitching makes a feature out of the sewing. There are numerous different styles available and multiple colours can be used for a striking effect. 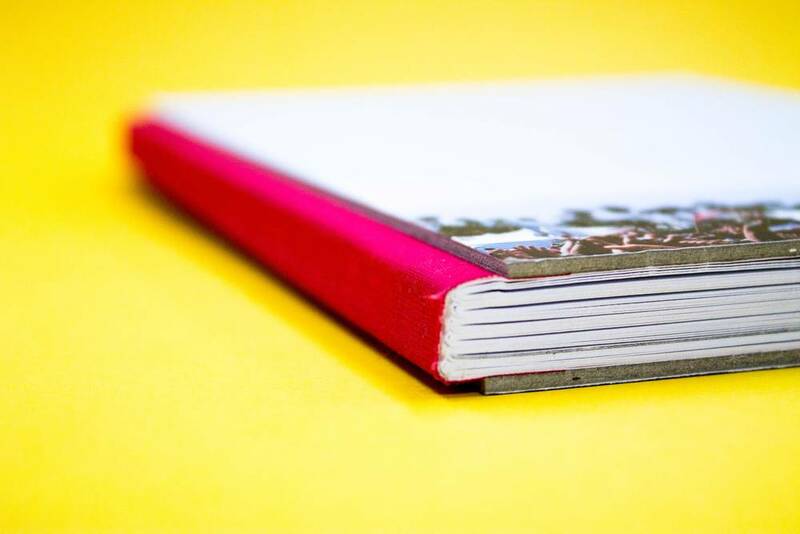 Great for sketchbooks, diaries or art projects. 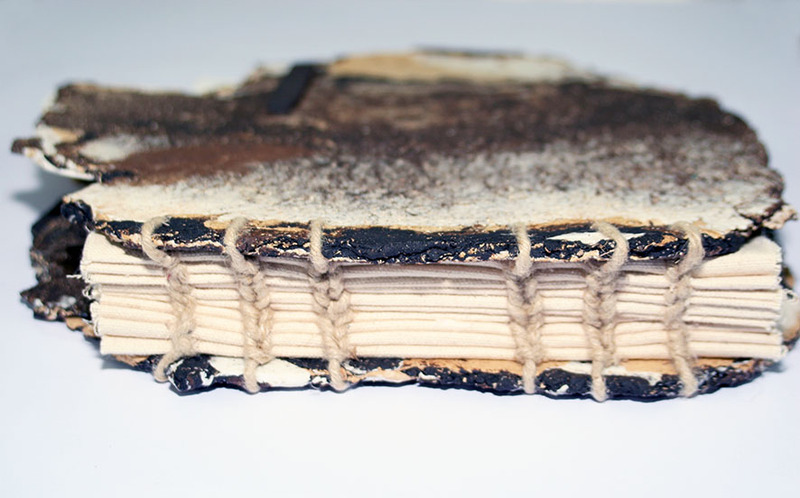 For more delicate older books or more unique projects we can sew by hand. We can sew onto chords in the traditional style or we can create other eye catching designs as required. The Japanese stitch has been used for thousands of years and is very popular today as another exposed stitch option. 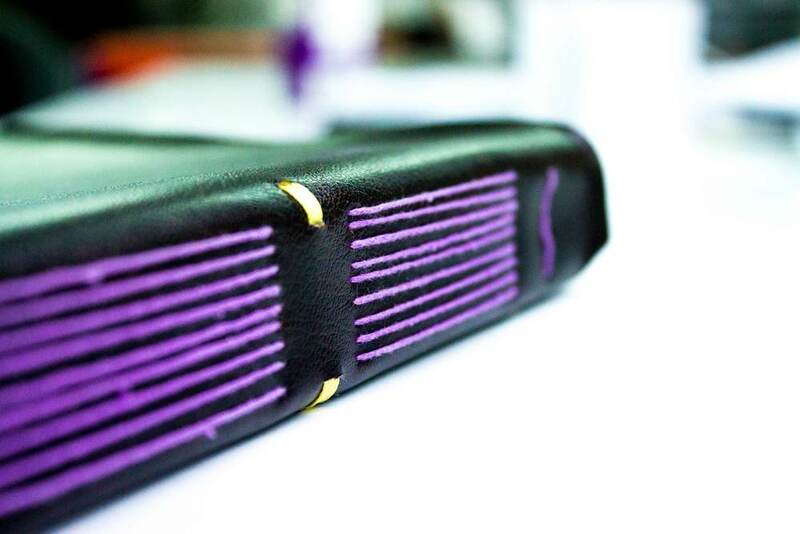 Used to sew single sheets together it is a great option for notebooks, portfolios or menus.